The treatment of alcoholism tends to vary and may include the use of an anti-alcohol pill. The use of a pill for alcoholism is usually provided to assist in reducing the severity of withdrawal symptoms that the person may experience when they stop drinking. 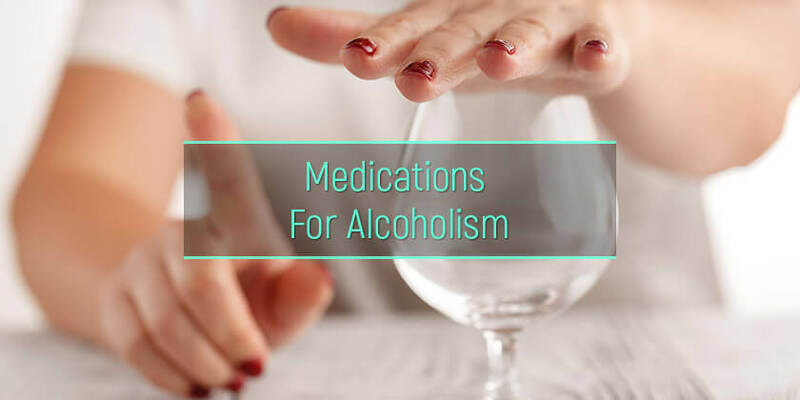 While some over the counter medication to stop drinking alcohol are available, it is usually recommended that an individual undergo medical treatment with prescribed drugs for a more effective approach to assisting them with the treatment of their alcoholism. People also need to understand the different types of medication for alcohol addiction, as well as potential side-effects. What are the medicines for alcohol withdrawal? What are the FDA-approved medications for alcohol abuse treatment? 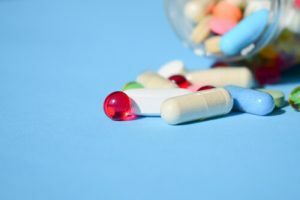 What are medications for cravings used off-label? Are the supplements effective in alcoholism treatment? Will these anti-alcohol medication help if one is still drinking? Patients with drinking dependency often find it challenging to overcome their addiction, especially without adequate medical intervention and professional help. While there are AA meetings and similar programs available, these do not always pose as successful long-term interventions for an individual. Alcohol use disorder treatment in a professional setting often involves the use of medication to treat alcoholism. The goal of these drugs is usually to help the individual experience less severe side effects from withdrawal. There are different types of medicine to quit alcohol that may be provided to a patient – including both FDA-approved options and other drugs that are used off-label for alcoholism treatment. The FDA has approved the certain medications for alcohol withdrawal. These are often the preferred options when it comes to providing a person with medicine for alcoholism, as they have been previously tested and proven to be effective in reducing the side-effects that occur while the patient is withdrawing from their liquor abuse. Disulfiram is a popular drug that is combined with therapy to assist in the treatment of alcoholism. The dosage of this alcoholism medication depends on the severity of the withdrawal symptoms, but there is a maximum allowed daily dosage of 500mg. Antabuse side-effects may include drowsiness, a strange taste in the mouth, headaches, and acne breakouts. While this drug is primarily used to assist in the treatment of opiate addiction, it is sometimes also used as a pill for alcohol dependence. Most patients will be provided with a daily dose of 50mg. In some cases, the individual may be offered a higher dose, but this will then be administered every other day. Common side effects of Vivitrol for alcohol addiction that occur in individuals who are prescribed this stop alcohol cravings medication may include anxiety, sleeping problems, dizziness, nausea, tiredness, and headaches. This medication usually includes the active ingredient of acamprosate calcium. The use of acamprosate in patients will often be combined with counseling sessions to help the person successfully stop abusing alcohol. The medication works on the neurotransmitters in the patient’s brain. The dosage of this alcoholism medication will depend on factors such as how severe withdrawal symptoms are. Patients may experience side effects like nausea, stomach pain, headaches, constipation, weight changes, muscle pain, and diarrhea while using this medication. Apart from FDA-approved medicine to quit alcohol, there are certain drugs that are used in the treatment of alcoholism off-label. What this means is that the drugs have not been approved as alcohol addiction medication, but physicians have noted positive effects when used in patients who are struggling to overcome the withdrawal symptoms that occur after they stop drinking. Some individuals may be provided with benzodiazepines to assist in reducing anxiety and other withdrawal symptoms. A Librium alcohol detox is one particularly popular option that physicians may rely on. In some cases, Valium for alcohol withdrawal may also be preferred. Topamax is a drug used to help with the treatment of seizures. While Topamax and alcohol should not be mixed, the drug may also be utilized as medicine for alcohol withdrawals in some cases. The dosage will depend on a few factors, including the severity of the addiction. Side effects could include reduced appetite, diarrhea, weight loss, dizziness, tiredness, and drowsiness. Baclofen is used to assist in the treatment of muscle-related spasms that occur in patients with spinal cord diseases, as well as those with multiple sclerosis. There are cases where a physician may prescribe this as alcohol addiction medication to reduce certain withdrawal side effects. Side effects of Baclofen may include headaches, nausea, constipation, dizziness, tiredness, weakness, and insomnia. Zofran is primarily utilized as a drug to assist in reducing the vomiting and nausea that individuals often experience when they undergo cancer treatment. Patients who experience such side effects while withdrawing from addiction may also be prescribed Zofran. Side effects caused by this medication may include drowsiness, constipation, headaches, and dizziness. Gabapentin is not an alcohol medicine that has been approved by the FDA but instead used to treat seizures and epilepsy among patients. In some cases, the drug may also be useful in reducing certain side effects that occur while a person is experiencing withdrawal symptoms from alcoholism. Nalmefene is a type of opioid antagonist. While not officially approved by the FDA for this use, the use of Nalmefene is becoming more popular as medication to curb alcohol cravings and help reduce the severity of the withdrawal phase. It is commonly known that alcohol and depression medication should not be mixed. Once a patient stops using, however, certain types of antidepressants, including those of the SSRI class, may be prescribed. This may help to reduce depression symptoms following liquor cessation. Various alcohol withdrawal medication over the counter options are available, often in the form of natural supplements. These options are not on the official alcohol withdrawal medication list and have not been evaluated by the FDA for the use in alcoholism treatment. While there are some people who claim that supplements can assist in reducing the effects of withdrawal symptoms, it is crucial to understand that there is very little evidence, if any at all, to support such claims. It is generally advised that patients should instead opt for alcohol craving medication prescribed by a medical professional as these pills have been proven to provide an effective method for the treatment of alcoholism. Will These Anti-Alcohol Medications Help If One Is Still Drinking? Some patients might find it hard to stop drinking in the first place. This raises the question if there is medicine to stop drinking alcohol that may be useful while the individual is still suffering from alcoholism and drinking. Patients should realize that mixing alcohol and medication can lead to many side effects. This is why a person is usually advised to be admitted to an alcoholics rehab to provide them with medical treatment for their dependency. In some cases, medications like Topamax, as well as Naltrexone, may be provided to help the individual stop drinking, but this is usually not advised. Medication for alcohol addiction is generally offered to help overcome the withdrawal symptoms that they experience. The treatment of alcoholism can range from providing the individual with an alcohol detox diet to prescribing the person medicine for alcohol addiction. In some cases, inpatient treatment in a rehabilitation center may be the more appropriate solution for the person. The individual will be medically supervised and prescribed a proper medication for alcohol cravings, which can help to make their treatment more successful and offer them longer-term cessation from their addiction. How Long Does Alcohol Stay In System?